Repairs up to 6-10′ of concrete basement wall crack. For homeowners looking to fix their own leaking concrete foundation crack, this kit can repair 6-10 feet of basement crack. 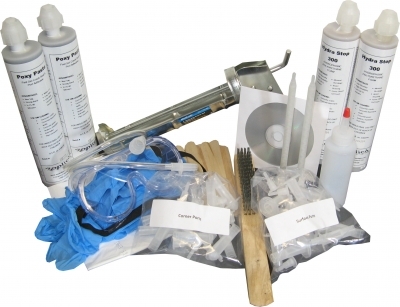 This kit uses the same crack repair materials that we provide to our professional customers, but in an easy to use cartridge that fits in a standard caulk gun. 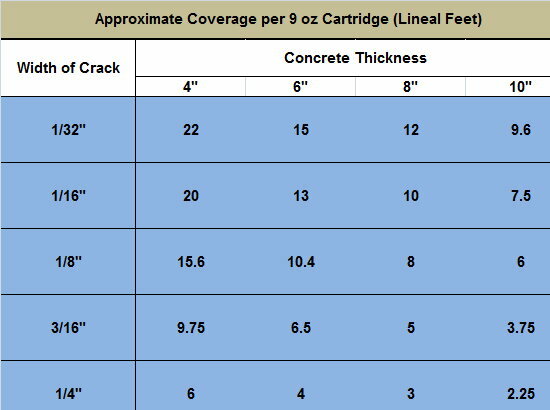 The hydrophobic urethane crack repair foam will fix a concrete crack leak. Included is a CD-Rom instructional video. Fast setting Poxy Paste crack seal and port adhesive makes this the fastest repair kit on the market. Ultra low viscosity Hydra Stop 300 gets into the tightest cracks and stops the water. Now even homeowners can repair their own foundation leaks and save money over the expensive cost of having a professional do it. Make your basement dry by repairing the leaking foundation crack. Water will no longer be able to enter through the concrete crack. Your basement will be dry and have reduced mildew odors caused by a damp basement. We make it easy for the novice. No prior experience is needed. Just view the included CD-Rom instructional video. Hydra Stop 300 is a low viscosity liquid. 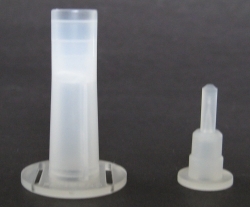 That means it will flow into cracks 1/32″ wide to seal them and stop water leaks. The urethane foams and expands inside the basement crack to expand and prevent water from entering your basement. Once the urethane has cured, it is tightly bonded to the concrete and cannot be pushed out by groundwater.